Today’s guest is Joshua Robertson, a fantasy fiction author whom we first interviewed on episode #9. 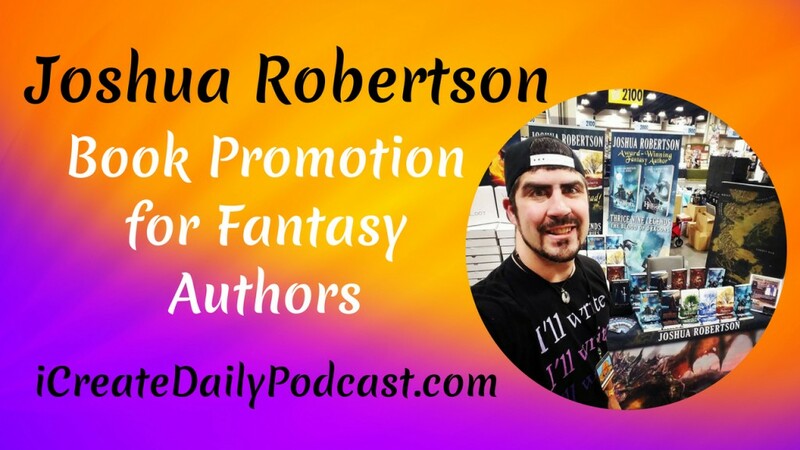 Joshua has so much going on this year and knows so much about book promotion through conferences and other venues that we wanted to bring him back on the show for an update on his business and book promotion information that may help other authors. Joshua is a dark fantasy author with fourteen titles under his name, his most prominent series called, The Thrice Nine Legends. He’s not only a writing machine, but a dad to nine children, virtual English teacher to children in China, and of course the husband of author Lilian Oake! 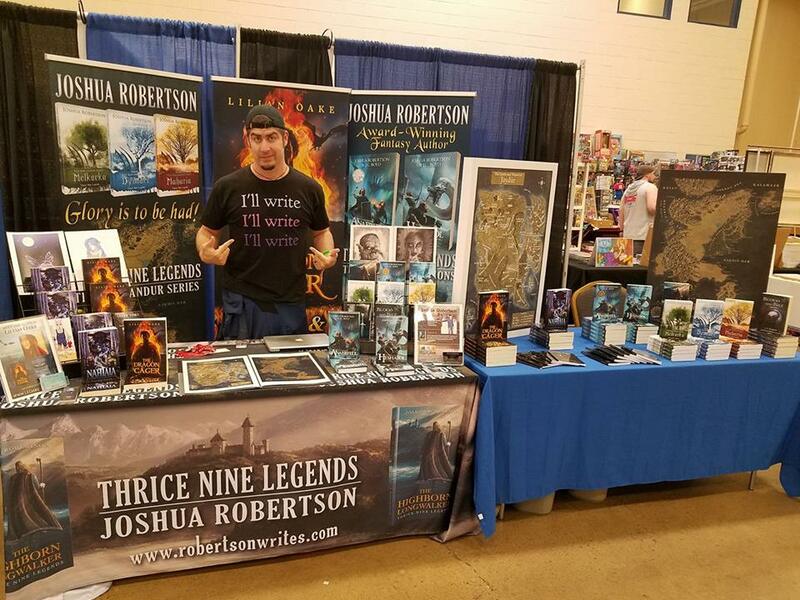 Lilian Oake’s photo of Joshua Robertson standing in their joint booth at the Steel City Con – Pennsylvania’s premier Comic Con! We got a chance to catch up Lilian last week where she briefly talked about the 40 book conventions they’re attending this year. In this episode, Joshua will be going in-depth in their book business and how both of them are managing their brand building and bookselling. This interview is crammed with so many helpful tips, advice, and experiences! Josh and Lilian have gone to a convention every weekend on 2018 (so far! ).